surprises us with everlasting forgiveness. happy are they who put their trust in you! Do not be arrogant, the readings for these three days tell us. Trust in God instead, we read. Daniel 5 tells us of Belshazzar, viceroy under this father, King Nabonidus (reigned 556-539 B.C.E.) of the Chaldean/Neo-Babylonian Empire. God, the story tells us, found Belshazzar wanting. Furthermore, we read, God delivered the empire to the Persians and the Medes, and the Babylonian Exile ended shortly thereafter. he governs what mortals do. but those who faltered put on new strength. and the hungry grow strong again. and the mother of many sons is left to languish? but to the humble he shows favor. I persevered. Why did you not do likewise? I must be spiritually superior to you. We all need to acknowledge, confess, and repent of our sins. We all need to change our minds and turn around spiritually. We all need to be humble before God and each other. through the life, death, and resurrection of your Son. The reading from Daniel 12 follows from chapter 11, the contents of which are crucial to grasp if one is to understand the assigned reading. The narrative, an apocalypse, concerns the end of the reign and life of the Seleucid monarch Antiochus IV Epiphanes (reigned 175-164 B.C.E. ), the bete noire of 1 Maccabees 1-6, 2 Maccabees 4-9, and the entirety of 4 Maccabees. Antiochus IV Epiphanes was also the despoiler of the Second Temple and the man who ordered the martyrdom of many observant Jews. In Daniel 11 the monarch, the notorious blasphemer, dies. After that, in chapter 12, St. Michael the Archangel appears and the resurrection of the dead and the final judgment ensue. There will be justice for the martyrs after all, the text says. The issue of God’s justice for the persecuted faithful occupies much of the Revelation to John. Today’s reading from that apocalypse is the message to the church at Sardis, a congregation whose actual spiritual state belies its reputation for being alive. Repent and return to a vibrant life of righteousness, the message says. That sounds much like a message applicable to some congregations I have known, especially during my childhood. Clinging to God can be difficult. During the best of times doing so might injure one’s pride, especially if one imagines oneself to be self-sufficient. And during the worst of times one might blame God for one’s predicament. During the other times mere spiritual laziness might be another impediment. Nevertheless, God calls us constantly to lives–individually and collectively–of vibrant righteousness. May we love our fellow human beings as we love ourselves. May we help others the best ways we can. May we heed the Hebrew prophetic call to work for social justice. May we, by grace, leave our communities, friends, acquaintances, families, and world better than we found them. Whenever we do so, we do it for Jesus, whom we follow. Almighty God, your sovereign purpose bring salvation to birth. through your Son, Jesus Christ, our Savior and Lord. Amen. and grief in my heart, day after day? how long shall my enemy triumph over me? and my foes rejoice that I have fallen. my heart is joyful because of your saving help. Hebrews 10:26-39 cautions against committing apostasy, that is, falling away from God. The consequences will be dire, the pericope tells us. 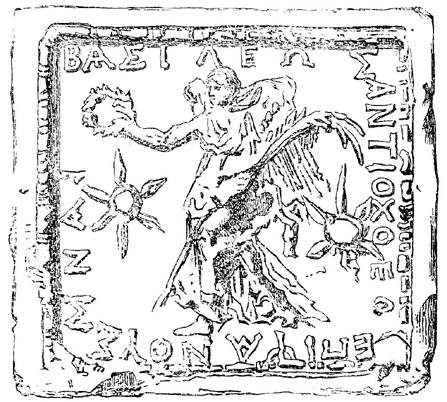 Daniel 8, dating from the second century B.C.E., contains references to the Hasmonean rebellion in Judea and to the evil Seleucid monarch Antiochus IV Epiphanes (reigned 175-164 B.C.E.). Antiochus IV took the name “Epiphanes,” meaning “God manifest.” The author of 1 Maccabees referred to him as “a sinful root” (1:10). The author of 2 Maccabees wrote of Antiochus IV’s indolence and arrogance in Chapter 9 and called him “the ungodly man” (9:9) and “the murderer and blasphemer” (9:28). The monarch had, after all, desecrated the Temple at Jerusalem and presided over a bloody persecution of Jews. Certainly many faithful Jews prayed the text of Psalm 13, wondering how long the persecution would continue while anticipating its end. Antiochus IV died amid disappointment over military defeat (1 Maccabees 6:1-13 and 2 Maccabees 9:1-29). The author of 2 Maccabees, unlike the writer of 1 Maccabees, mentioned details about how physically repulsive the king had become at the end (2 Maccabees 9:9-12). By his cunning, he will use deceit successfully. He will make great pans, will destroy many, taking them unawares, and will rise up against the chief of chiefs, but will be broken, not by [human] hands. The “chief of chiefs” was God, and, according to 2 Maccabees 9, God struck down Antiochus IV. The monarch, who never fell away from God because he never followed God, faced dire circumstances. Yet, if we endure faithfully, as many Jews did during the reign of Antiochus IV Epiphanes, and the author of the Letter to the Hebrews encouraged Jewish Christians to do, God will remain faithful to us. Many Christians have endured violent persecutions and political imprisonments with that hope keeping them spiritually alive. Many still do. Many Christians have become martyrs, never letting go of that hope. Today tyrants and their servants continue to make martyrs out of faithful people. May we, who are fortunate not to have to endure such suffering for the sake of righteousness, not lose faith either. This is post #1350 of BLOGA THEOLOGICA. Another incident concerned the arrest of seven brothers along with their mother. They were being tortured by the king with whips and thongs to force them to eat pork, contrary to the law. You appeared in my womb, I know not how; it was not I who gave you life and breath, not I who set in order the elements of your being. The Creator of the universe, who designed the beginning of mankind and devised the origin of all, will in his mercy give you back again breath and life, since now you put his laws above every thought of self. Son, take pity on me, who carried you nine months in the womb, nursed you for three years, reared you and brought you up to your present age. I implore you, my child, to look at the heavens and the earth; consider all that is in them, and realize that God did not create them from what already existed and that a human being comes into existence in the same way. Do not be afraid of this butcher; accept death willingly and prove yourself worthy of your brothers, so that by God’s mercy I may receive back you and them together. What are you all waiting for? I will not submit to the king’s command; I obey the command of the law given through Moses to our forefathers. And you, King Antiochus, who have devised all manner of atrocities for the Hebrews, you will not escape God’s hand…. Roused by this defiance, the king in his fury used him worse than the others, and the young man, putting his whole trust in the Lord, died without having incurred defilement. Last of all, after her sons, the mother died. Then must conclude our account of the eating of entrails and the monstrous tortures. listen to my prayer, which does not come from lying lips. let your eyes be fixed on justice. melt me down; you will find no impurity in me. I have heeded the words of your lips. in your paths my feet shall not stumble. incline your ear to me and hear my words. from those who rise up against them. hide me under the shadow of your wings. And earth and heaven be one. Antiochus Epiphanes was a tyrant, as was Herod the Great, a Roman client king who died in 4 B.C.E. Three sons took up their father’s role, each in his own district, with Roman approval, of course. 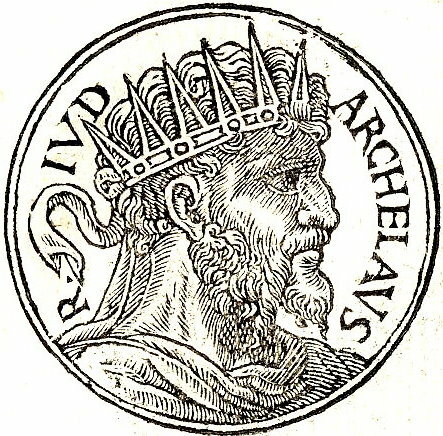 Herod Archelaus governed much of the territory the modern State of Israel covers, with his capital at Jerusalem. He was the basis of the parable Jesus told, for a delegation of fifty men from the region traveled to Rome to ask they Archelaus not become the client ruler. The Parable of the Pounds in Luke 19 is similar to the Parable of the Talents in Matthew 25. For more about latter, follow the germane links I have provided. In Luke 19, however, there is a unique twist; the king is clearly the villain, and one identified with a member of the notorious Herodian Dynasty. This parable is set as Jesus nears his Triumphal Entry into Jerusalem, and therefore his crucifixion a few days later. The tyranny of the Roman Empire and its rule, whether direct or indirect, was on his mind. This is a timeless lesson. Songs in the night it giveth. Christ the King Sunday is Proper 29, the last Sunday of the Western Christian year. I am close to writing the devotion for that day, given where I am in the lectionary cycle. But, despite the heavy tone of the readings for this day, Wednesday in the Week of Proper 28, Year 1, we have a foretaste of the Feast of Christ the King. Send me to my grave! If I went through with this pretence at my time of my life, many of the young might believe that at the age of ninety Eleazar had turned apostate. If I practiced deceit for the sake of a brief moment of life, I should lead them astray and stain my old age with dishonour. I might for the present avoid man’s punishment, but alive or dead I should never escape the hand of the Almighty. If I now die bravely, I shall show that I have deserved my long life and leave to the young a noble example; I shall be teaching them how to die a good death, gladly and nobly, for our revered and holy laws. To the Lord belongs all holy knowledge; he knows what terrible agony I endure in my body from this flogging, though I could have escaped death; yet he knows also that in my soul I suffer gladly, because I stand in awe of him. So he died; and by his death he left a noble example and a memorial of virtue, not only to the young but also to the great mass of his countrymen. 1 LORD, how many adversaries I have! how many there are who rise up against me! you are my glory, the one who lifts up my head. who set themselves against me all around. you will break the teeth of the wicked. 8 Deliverance belongs to the LORD. Your blessing be upon your people! Zacchaeus, be quick to come down, for I must stay at your house today. He climbed down as quickly as he could and welcomed him gladly. At this time there was a general murmur of disapproval. Here and now, sir, I give half my possessions to charity; and if I have defrauded anyone, I will repay him four times over. Today salvation has come to this house–for this man too is a son of Abraham. The Son of Man has come to seek and to save what is lost. There is much that is wearisome about the four Books of the Maccabees. Consider elderly Eleazar’s speech, set in the context of his flogging to death. Really, do you think that someone would be so eloquent in such a circumstance? By the way, there are more over-the-top righteous speeches in 4 Maccabees. But such speeches made the books of the Maccabees popular with many Christians, living under the threat of persecution, during the earliest centuries of the faith. So Eleazar preferred to die while keeping the Law of God, as he understood it, rather than even pretend to obey the royal command to eat pork–and pork sacrificed to idol. The Apostle Paul, writing in 1 Corinthians 8, did not become upset about eating meat sacrificed to idols, for, as he wrote, there is only God. Yet he recommended not consuming such meat, so as not to confuse those who thought that pantheons were real. Eating such meat was lawful for him, but not permitted. Then there is Simon Peter’s vision of ritually unclean food in Acts 10:9-16. I am a Gentile–one raised Protestant. So, not only do I enjoy an occasional pork chop and a ham sandwich, but I even eat before Eucharist and consume meat on Fridays, including Good Friday. Food prohibitions beyond those associated with health concerns seem superfluous to me. Nevertheless, none of these facts negate the faith of Eleazar or the tyranny of Antiochus Epiphanes. Jesus invited himself to eat with Zacchaeus, a tax collector and, in so doing, caused a scandal. The reason for the scandal was the profession of his host, Roman tax collecting. The Roman imperial tax collection system at the time encouraged corruption, for tax collectors lived off the excess funds they gathered. 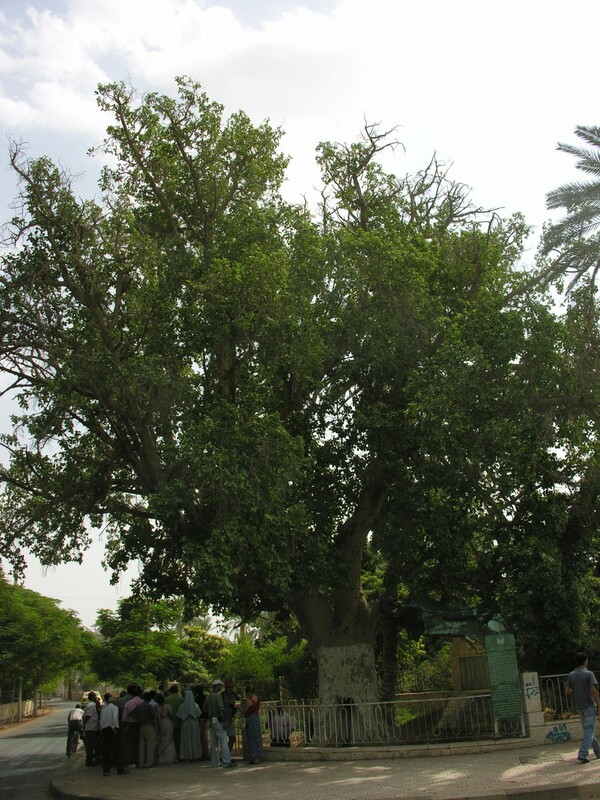 Zacchaeus seems to have especially corrupt and understandably despised, but he sought Jesus, who recognized potential in him and responded to that. Zacchaeus acted to make his repentance plain, for he volunteered to made resitution at a higher level than the Law of Moses required. Four-fold restitution was the rate mandatory for violent and deliberate destruction (Exodus 22:1), but two-fold restitution was the assigned rate for run-of-the-mill theft (Exodus 22:4 and 7). And Leviticus 6:5 and Numbers 5:7 specified that the rate of restitution in the case of voluntary confession and repayment was the amount stolen plus one-fifth. I wonder what else Zacchaeus did. The Biblical narrative is silent on the matter, but one can assume safely that it reflected the positive impact of Jesus on his life. Our Lord ate with people such as Zacchaeus, thereby keeping “bad” company. One was not supposed to eat with “bad” company, according to respectable social norms at the time and place. Jesus disregarded the appearance of propriety when he reached out to Zacchaeus. Eleazar gave his life when he maintained such appearances and obeyed his faith. I propose that there is a rule governing whether one ought to maintain the appearance of propriety: Why is one doing it? If the rationale is compassion, maintaining the appearance of propriety is probably justifiable, for many people cannot distinguish between appearances and reality. But if one is doing this to make one’s self look good, it is probably not justifiable. Would you, O reader, rather be Zacchaeus or Jesus at the dinner, or someone scoffing at the reality of that meal?